SNCF's subsidiary MASTERIS is the exclusive distributor of the company's expertise and services in the area of rolling stock maintenance. 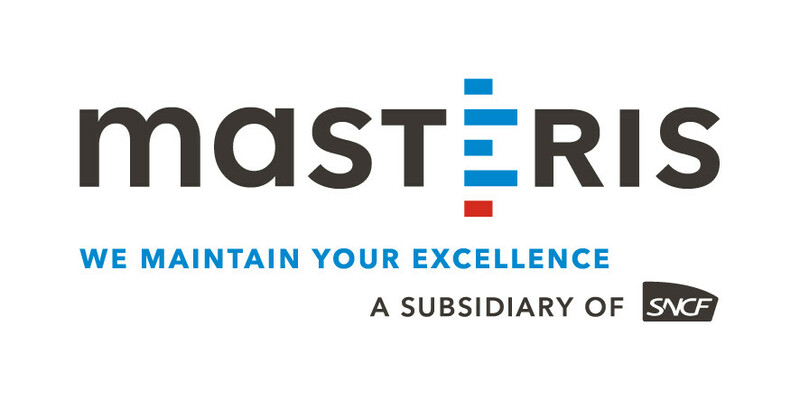 MASTERIS began its commercial activity in 2009. In order to offer complete made-to-measure maintenance solutions, MASTERIS is backed up by 70 years of knowledge and feedback from the SNCF's Rolling Stock Division. Totally focussed on its on its client's requirements, MASTERIS can provide a wide range of innovative and robust services. Our ambition is simple: to provide its clients with support, integrating flexibility and reactivity for their growth strategies, whilst simplifying their maintenance and engineering tasks. Today, we are building a veritable partnership with every one of our clients, based on trust and listening. From simple cleaning operations to systematic examination of all railway rolling stock components, MASTERIS offers a national network to perform everyday maintenance on all rolling stock. MASTERIS proposes the repair of all railway rolling stock components such as, for example, axles, electric motors, coupling systems, heat transfer fluid tanks, coils, rotors and motor armatures, etc. On partners of MASTERIS sites with comprehensive process expertise, MASTERIS offers a facelift for rolling stock (structures, engines, electronics and interior fittings).